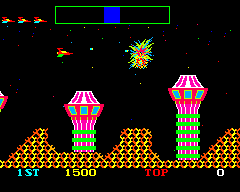 Cosmic Avenger is a horizontally scrolling shooter arcade game developed and published by Universal Entertainment Corporation and released in 1981. 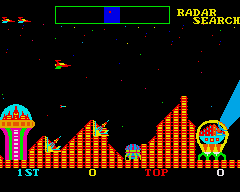 Like Universal’s Lady Bug, Cosmic Avenger was not a hit in arcades, but found success and a larger audience as a launch title for the ColecoVision console. It was not ported to other systems. Wes Hupp holds the official record for this game with 117,290 points on November 17, 1982. 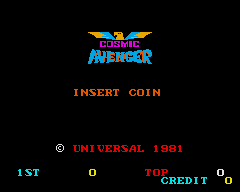 Here you can download the latest Cosmic Avenger core as well as Replay specific drivers. The copyright of the ROM images is owned by third parties, thus the above does not apply to them. 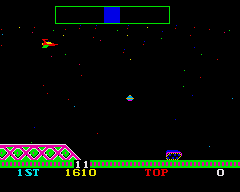 You have to be entitled separately to use the ROM images together with the FPGA Cosmic Avenger design. Owning an original PCB might be ok, but I am not liable for any copyright violations that arise from your use of the FPGA Cosmic Avenger design.